Hire An Advertising Copywriter: Turn You Advertising Copy Into A Money Making Machine. 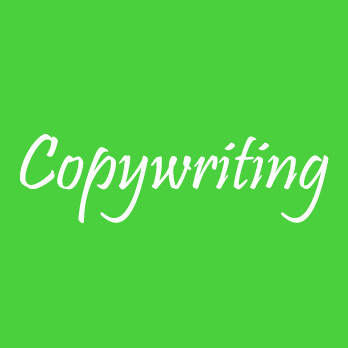 Are you looking for an advertising copywriting to help you write compelling ad copy? Hire our advertising copywriter to do the job for you. Our writers will give you relevant copy that give the core message of your brand and helps your audience convert into paying clients. Use the order form below to hire an advertising copywriter for your business. Hires a Reliable Advertising Copywriter Cheaply. Our advertising copywriting business allows businesses to find online advertising copywriters at a fraction of the cost of hiring an in house writer. Our proficient advertising copywriter will help you to create unique, clear, simple, creative, and engaging copy for your ad campaign. He/she is responsible for the text copy found in brochures, advertisements, billboards, websites, emails, catalogs, and more. Our excellent advertising copywriters are trained professionals in the field of advertising and corporate communication. In addition, they have the ability to write well due to their impeccable English grammar, great research and analytical skills, accuracy, unique imagination, flexibility, and the ability to write in a variety of styles. Similarly, a skilled advertising copywriter has a keen interest in new trends and styles relevant to the target audience. Use the order form below to hire an advertising copywriter for your business.